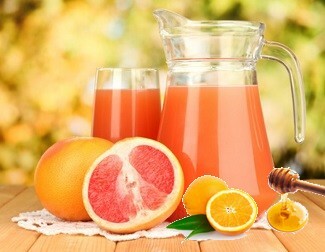 Grapefruit is an excellent source of vitamin C, a vitamin that helps to support the immune system. 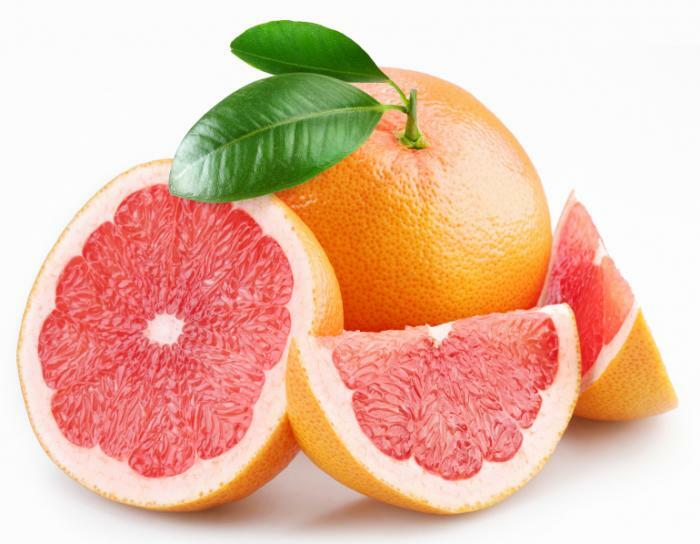 Vitamin C-rich foods like grapefruit may help reduce cold symptoms or severity of cold symptoms; over 20 scientific studies have suggested that vitamin C is a cold-fighter. Vitamin C also prevents the free radical damage that triggers the inflammatory cascade, and is therefore also associated with reduced severity of inflammatory conditions, such as asthma, osteoarthritis, and rheumatoid arthritis. As free radicals can oxidize cholesterol and lead to plaques that may rupture causing heart attacks or stroke, vitamin C is beneficial to promoting cardiovascular health. Owing to the multitude of vitamin C’s health benefits, it is not surprising that research has shown that consumption of vegetables and fruits high in this nutrient is associated with a reduced risk of death from all causes including heart disease, stroke and cancer. A similar inverse association was found between the men’s consumption of lycopene-rich fruits and vegetables such as tomatoes, apricots, pink grapefruit, watermelon, papaya, and guava. Men who most frequently enjoyed these foods were 82% less likely to have prostate cancer compared to those consuming the least lycopene-rich foods. This entry was posted in LifeStyle+Health and tagged Grapefruit is Rich in the Nutritional Powerhouse Vitamin C. Bookmark the permalink.